Forsk is an independent software company providing operators and vendors with wireless network design and optimisation products. 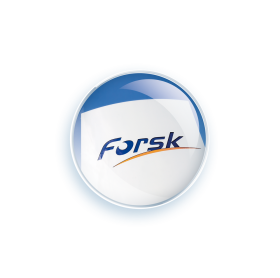 Forsk is an independent software company providing operators and vendors with wireless network design and optimisation products. Atoll, Forsk’s flagship product, is the market-leading wireless network planning and optimisation software on the market; it allows operators to streamline planning and optimisation activities by combining predictions and live network data. With more than 9000 active licenses installed with 500+ customers in 140 countries, Atoll has become the industry standard for wireless network design and optimisation. Naos is Forsk’s automation and integration platform dedicated to wireless network planning and optimisation. Naos is a scalable, service-oriented platform that enables the automation of wireless network planning and optimisation tasks using enterprise applications. Naos is fully compatible with Atoll. Atoll and Naos provide operators with a comprehensive framework for integrated, interactive, and fully automated wireless network planning and optimisation. Forsk distributes and supports Atoll directly from offices and technical support centres in France, USA, and China as well as through a worldwide network of distributors and partners. Since the first release of Atoll, Forsk has been known for its capability to deliver tailored and turn-key radio planning and optimisation environments based on Atoll. To help operators streamline their radio planning and optimisation processes, Forsk provides a complete range of implementation services, including integration with existing IT infrastructure, customisation, as well as data migration, installation, and training services.